So, we at Lulupu decided to make some Valentine projects early so we could blog about it and give the rest of you plenty of time to get inspired and make one of your own. 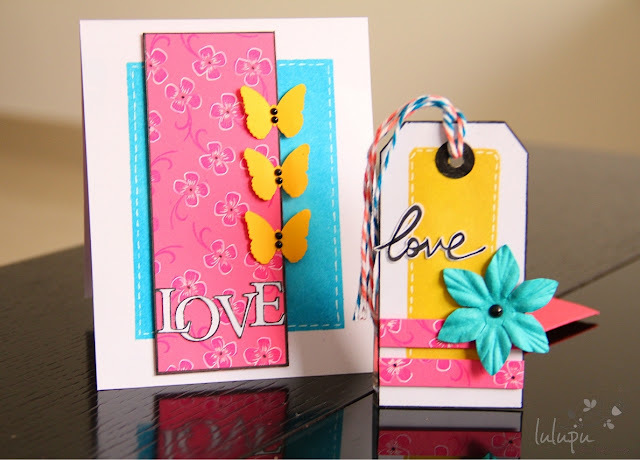 This year I decided that its going to be a coral pink and turquoise with a pop of yellow Valentine for me. I wanted to experiment with new colors and I loved the result!! 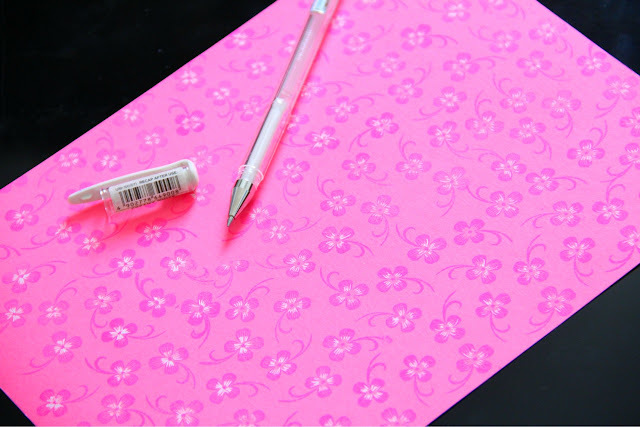 Since I did not have a lot of Coral pink pattern papers to choose from, I thought of making a pattern paper of my own.. 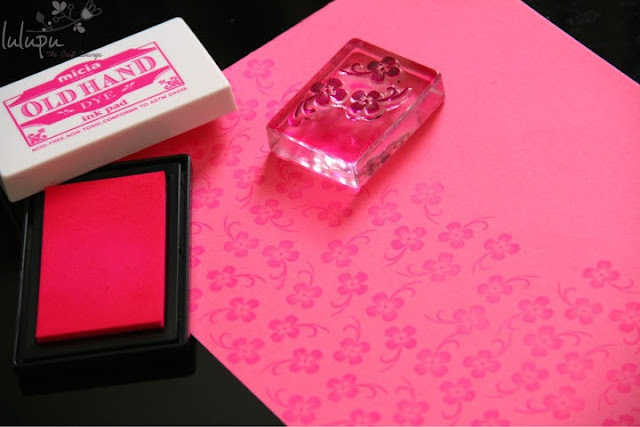 I used a regular pink cardstock, clear three flower stamp from the Micia's Happy Thoughts - CPM 053 stamp set and Micia ink pad in Hot Pink. I stamped it all over the page. Then used my white ink pen to highlight the flower a bit.. 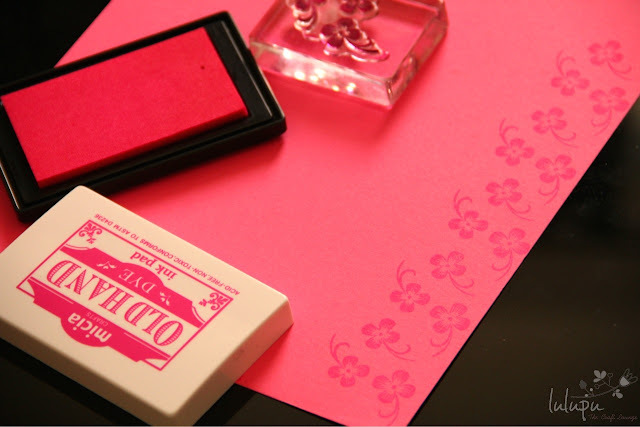 There you go.. a quick and simple customized pattern paper! The blue background is distressed using Micia's Deep Blue ink with the help of a masking tape. Do share with us what you make for your valentine this year and how do you plan to make it unique and tell the important people in your life you love them!! And yes another GOOD NEWS to begin your crafty hoarding spree! Lulupu Store just slashed the prices of their gorgeous collection of Pattern Papers! No Discount codes required! 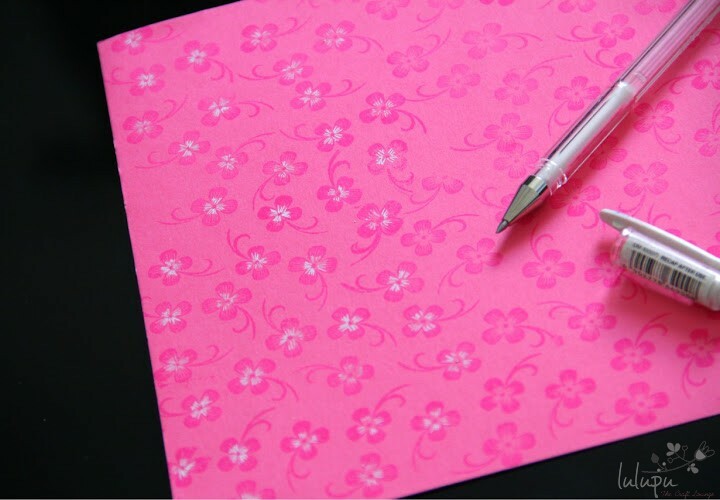 The 6 by 6 paper pads now start at Rs.380/- only while the 12 by 12 would be for Rs.1350/-. Not to Forget the beautiful cordinating Paper kits! Head over to our paper section and pick your favourites before they are gone! Shruti this is gorgeous stuff... Love the PP you have created!! fabulous pp ! loved the set ! 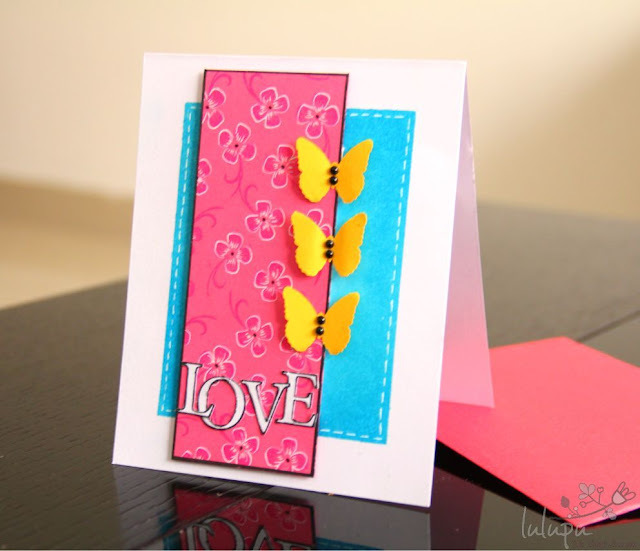 Love this card, and the colors are so vibrant. 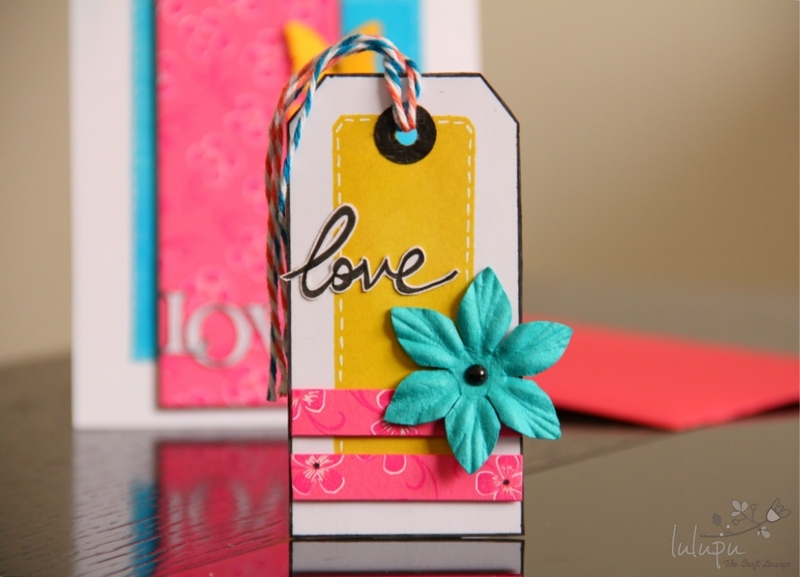 Awesome paper.Very clever use of stamps to make patterned paper.As usual I am inspired. Terrific! Loved the way u creatrd the pp..and hand drawn and free cut sentiment is too good! This is awesome Shruti.. I loved the way you made your own PP. 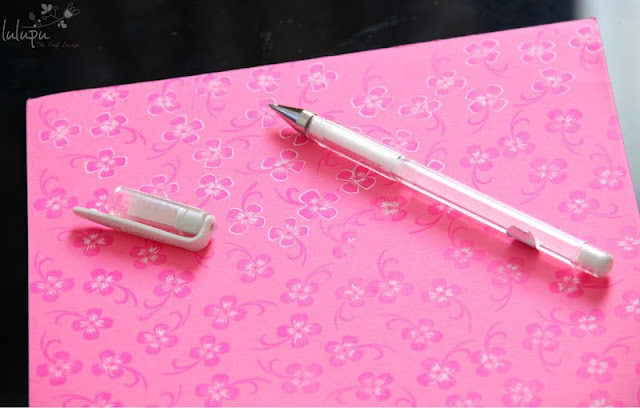 Can u tell me which white pen it is.. I have been searching for one from a long time, but I could only get a corrector pen.. but this one looks like a gel pen! !